Kapasiyahan na pinagtitibay ang barangay appropriation bill no. 001-2018 of barangay sta rosa ii â�� an ordinance appropriating funds for barangay sta rosa ii annual budget for 2018 in the total amount of ten million four hundred ninety six thousand eighteen pesos (p10,496.018.00). Resolution authorizing the municipal mayor hon. Juanito h. Santiago for and in behalf of the municipal government of marilao to enter into and sign a memorandum of agreement (moa) with the department of social welfare and development (dswd) field office iii, city of san fernando, pampanga, represented by its regional director gemma b. Gabuya for the implementation of social protection programs in the municipality of marilao, province of bulacan. Resolution approving the realignment of the amount of thirty million five hundred thousand pesos (p30,500,000.00) from unused portion of the twenty percent (20%) development fund of the 2018 annual investment program to fund certain projects of the municipality of marilao, bulacan. 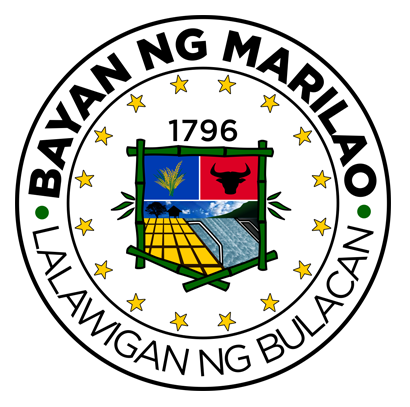 Resolution approving the first updated 2018 annual investment program (aip), embodying the various development programs, projects and activities of the municipality of marilao, province of bulacan for calendar year 2018, in the amount of three hundred eighty one million four hundred fifty thousand pesos (â�±381,450,000.00), and further authorizing the municipal mayor, for and in behalf of the municipal government of marilao, to sign and execute contracts and agreements with the winning bidders of projects covered therein, subject to existing auditing laws, rules and regulations. Resolution adopting and approving the amendment of sub-item 2, item d (roads and bridges) under part â��i. Prevention and mitigationâ�� of the 2018 local disaster risk reduction and management fund investment plan (ldrrmfip) of the municipality of marilao, province of bulacan. Resolution approving the chairmanship of honorable ma. Lourdes i. San andres, ex-officio member of the 9th sangguniang bayan of marilao, bulacan as chairman of the committee on transportation and communications and committee on barangay affairs, and membership on committee on tourism, arts, culture and special events in accordance with section 19 rule v of the internal rules of procedure of the 9th sangguniang bayan of marilao, bulacan. Resolution adjusting the zoning classification of a lot mineral and residential zone to industrial zone covered by transfer certificate of title no. T-113097 (m) and t-113098(m) with an area of nine thousand one hundred eighty five square meters (9,185 sq. M.), owned by han phil. Industiries inc. Located at barangay prenza ii, marilao, bulacan. Resolution respectfully endorsing the request of sm marilao-sm cabanatuan city transport group association to atty. Arthur p. Tugade, secretary of the department of transportation (dotr), to comply with dotr requirements in applying for a route from sm marilao, bulacan to sm cabanatuan city, nueva ecija via nlex balagtas exit. Kapasiyahan na pinagtitibay ang pagtatalaga sa tungkulin ni kgg. Ma lourdes i. San andres, tagapangulo ng sangguniang barangay ng barangay loma de gato at bagong pangulo ng liga ng mga barangay ng marilao, bilang bagong kasaping ex officio ng sangguniang bayan ng marilao, bulacan. Kapasiyahan na tinatanggap ang pagbibitiw sa tungkulin ni kgg. Eduardo s. Gabriel bilang kasaping ex-officio ng sangguniang bayan ng marilao, lalawigan ng bulacan.